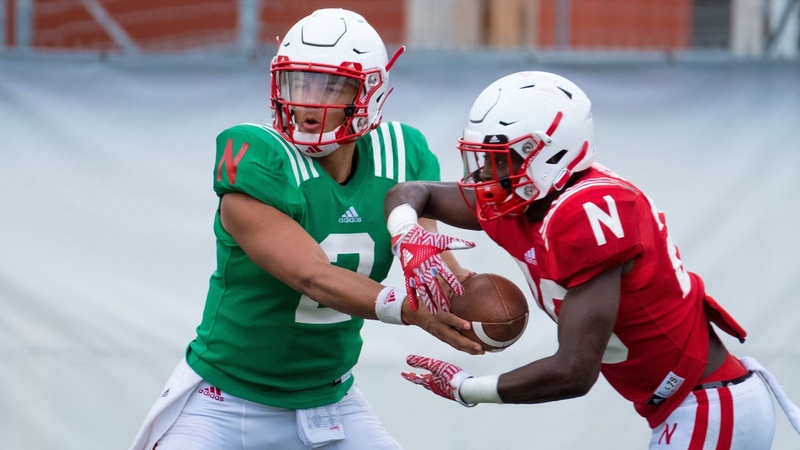 Adrian Martinez joined Ben McLaughlin on Monday night for his first appearance on Sports Nightly since being named Nebraska's starting quarterback. Martinez displayed the same poise that he showed at podium earlier in the day during his radio appearance. The signal-caller reiterated that it’s an honor to be the starting quarterback at such a prestigious university and he’s excited about the opportunity. What was your stress level mentally through your recruitment? When Nebraska first get on your radar? What did your family think of Nebraska? “My family really just wanted me to be happy. They didn’t care if I was going to go as far east as I wanted or stay close to home. They wanted me to be happy. Really, they wanted to get to know the people. Obviously, people of Nebraska know how special it is here. Coach Frost and the coaching staff are one of a kind. They genuinely care about their players and that was something that stood out. The community here is so strong. Those were just two really big factors for myself and my family. It’s something that stands out about Nebraska." What were the first couple of days like in Lincoln? What was your first experience on the practice field like? “There was definitely some getting used to. Things move a lot faster. Even for the other players, practice was like the way it is now. We move fast. It’s tempo, we are running around the field all the time. In high school, it’s not like that. I don’t care where you go. It’s not like that in college at all the places. There definitely was an adjustment but I feel like I’m living the dream. I get to practice in these cleats and this indoor stadium? I felt blessed and I still do." Explain the process going through spring and fall trying to be the guy. What it’s like quarterbacking this offense and controlling the tempo? What’s your approach to leadership? How are you approaching this week and game day?